Welcome to 2nd Time Sports, your local destination for new and used sporting goods, equipment and repair services. When it comes to sports and fitness, we believe that nothing should keep you from getting in the game. That’s why we offer a one-stop solution for all of your sporting needs. Whether you’re an amateur cyclist, a semi-pro golfer, or you’re just fitness-minded, you’re sure to find the equipment you need in the condition you deserve – all at a price you can afford. Step up to the plate and allow us a role in your sports and fitness journey. We’re happy to help athletes at all levels become the best they can be for the best possible value – starting with quality, bacteria-free gear, equipment and accessories. At 2nd Time Sports, our deep allegiance to the sporting world, combined with our community-oriented approach, sets us apart as a brand that athletes can trust. And, we don’t take that lightly. 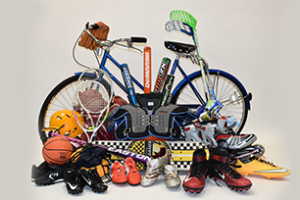 Regardless of your needs, you can always count on us to hold our own as a hub for buying, selling and trading used and new sporting goods. Explore our website or drop by your nearest 2nd Time Sports location to learn more about our services and equipment. Looking to break into the used sporting goods business for yourself? There’s room for you here at 2nd Time Sports. Check out our 2nd Time Sports franchise opportunity to learn about how we can help you get in on the action. What are you waiting for? It’s game time!